“Writing in the tradition of Thomas Berger’s Little Big Man, Thayer revels in the burlesque he adds to our otherwise overly romanticized past, gleefully transforming numerous well-known sacred cows. In all, a breezy, impeccably researched picaresque. “I am the spy of the century,” said Woodrow Lowe, age 108, to his interviewer. “I was also a white slave, a heavyweight contender, the ruler of China until the Empress Dowager cruelly deposed him, and the man who started World War I; and if you don’t believe me, you can get out of my house.” Were the ancient husk’s pronouncements those of a liar or madman? And could it all be true? If so, how did it all start for Woodrow? Perhaps when as a fifteen-year-old he set eyes on an exquisite (but remarkably two-timing and conniving) red-haired girl outside his Boston saloon. She pole-axed him—if only metaphorically—and his life careened out of control from that moment. How could he have survived 108 years? It was close the entire way, and this is his story. “Woodrow is impossible to kill - but people keep trying. And therein lies the comic heart of his story. Thayer . . . has written a wry and entertaining tall tale that will appeal to fans of Thomas Berger's Little Big Man and Allan Gurganus' Oldest Living Confederate Widow Tells All. 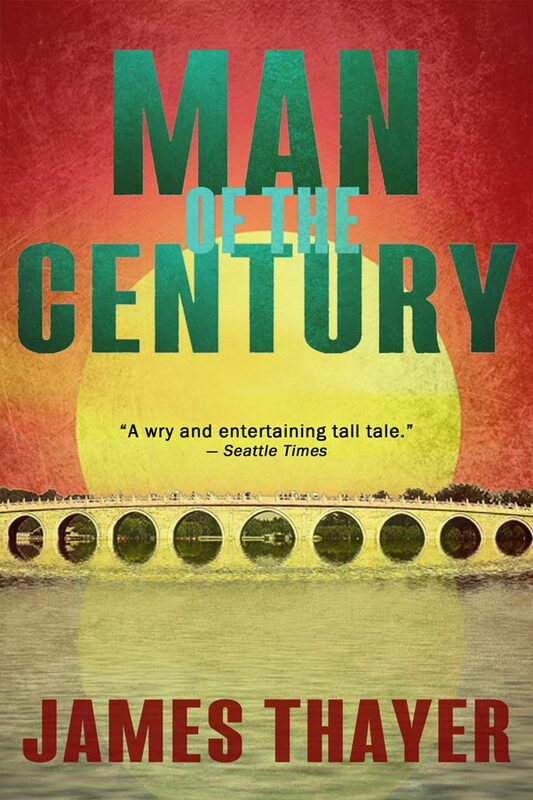 “A thoroughly enjoyable novel. . . . How this poor Irish-American boy, son of a Boston saloonkeeper, moves from utter poverty to extreme wealth is an amazing tale. . . . Whether a legend in his own time or in his own mind, Woodrow Lowe is indeed a man of the century whose life story is a remarkable celebration of history.